The collection of AlterBikeTM covers the different needs and interests of our clients – city commute, urban cruising and sporty mountain riding. 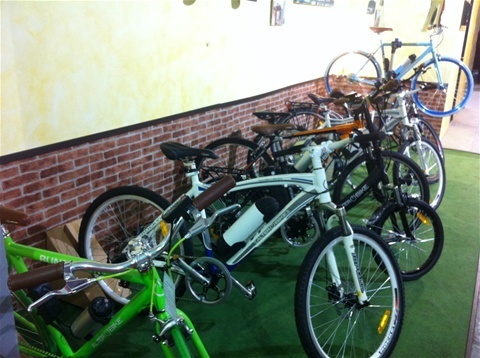 We have also great success with Foldable bikes and Fat e-Bikes. Yes, we want to spoil the riders! With its powerful motor and a lightweight battery, the Rocky series is capable of a riding range of up to 60 km. 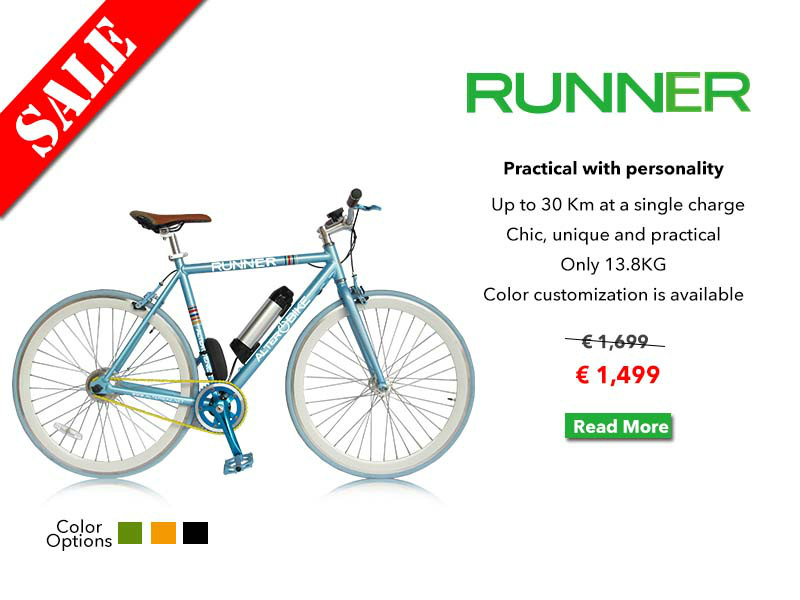 Its innovative frame reduces the overall weight. The step-through frame and 14", 20” or 24" wheels make it easier to operate, with a perfect riding position and a better visual field. 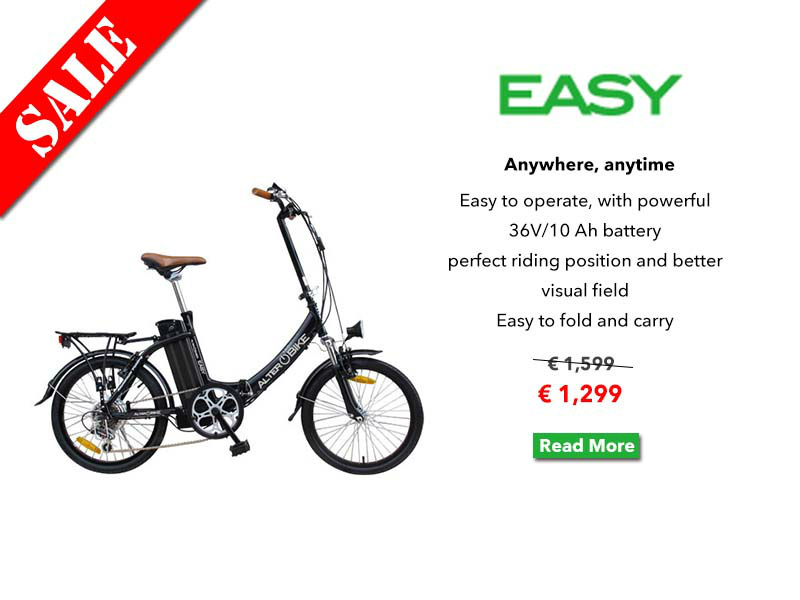 You can easily attach accessories like small baskets, panniers, baby seats.... It’s a very practical and useful bike. 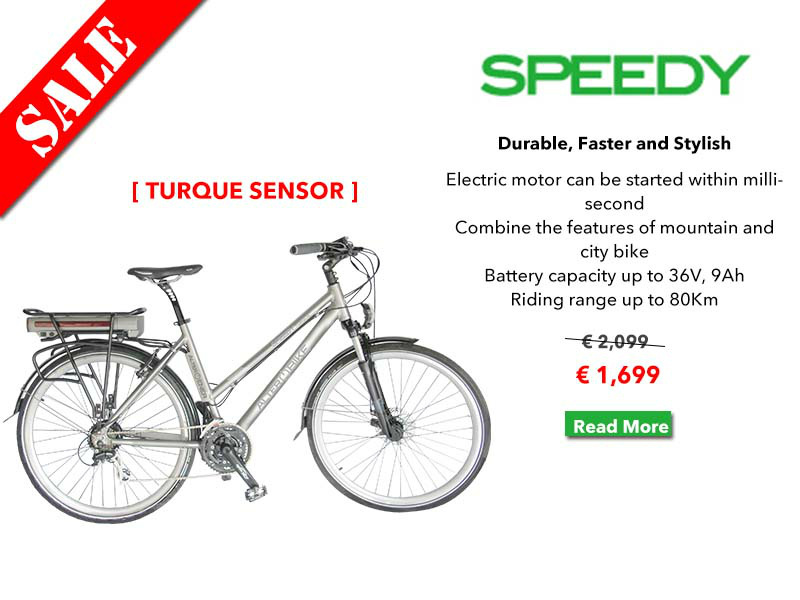 Speedy combines the sporty character of mountain bikes with the elegance and comfort of city bikes. 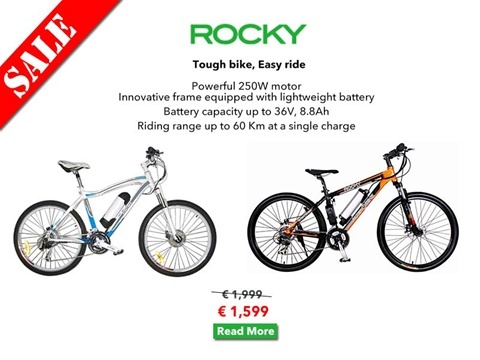 The most innovative thing is that this bike is improved with the solution "torque sensor", a sensor that identifies immediately the resistive torque required to start the electric motor within milliseconds. 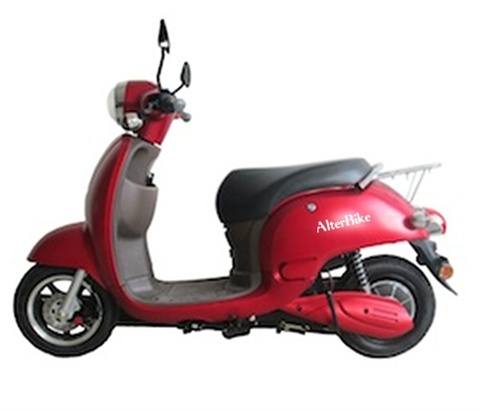 It’s perfect for the kind of riders who look for a ride with ups and downs, effortless and at a faster speed with a attractive modern appearance. Thanks to our high quality 250W motor and durable battery, the Speedy series is the perfect choice for recreational, comfortable and effortless road or city ride. Looking for an environmentally friendly vehicle with more speed and a trendy design? Vespy gives you a faster and steady urban cruising experience at a lower cost than a conventional scooter, especially due to savings in gasoline. Vespy has a maximum speed of up to 45 km/h and an average range of about 50 km. It’s a perfect choice between an electrical bicycle and conventional scooter, if you are looking for speed, a catchy design and no gasoline bill. The battery is removable, so you can easily take it home and recharge it! The customer can take the choice to add stylish red or brown colors, giving his personal touch. 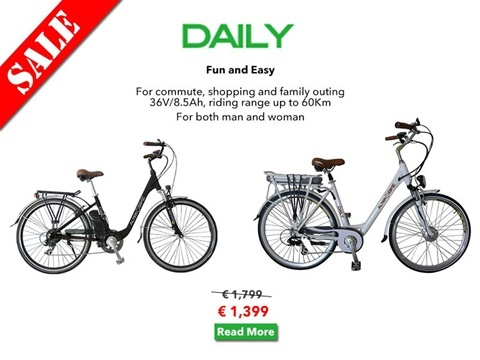 It elevates the riding experience, catches people’s attention and gives you a comfortable experience cycling within the city or travelling long distances from one location to another. All Vespy products come with registration and plating services plus all required accessories.